Matured exclusively - and unusually - in the finest first fill sherry casks, the second small batch release of Devil's Casks is still mischievous. 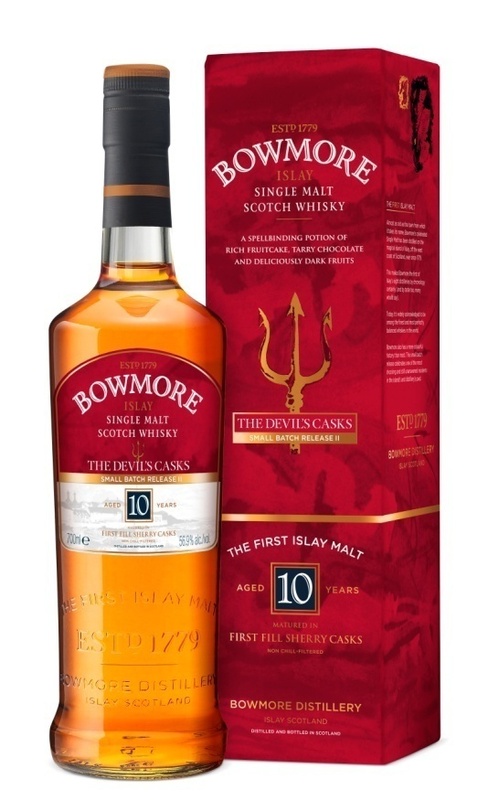 Having mellowed under a cloak of smooth velvet and sublime sherry cask indulgence, it reveals even more of Bowmore's devilish dark side. This small batch release is, quite simply, devilishly good!